How many steps will he run on the super stairs? How long will it take him to run them? Have students write down a guess and share it with their neighbors. Then take a poll. Find the highest guess in the room. Find the lowest guess in the room. What information would you need here? The language is here is really important. Students may use "steps" and "stairs" interchangeably. To keep things from getting out of control, my class decided "stairs" were physical and concrete while "steps" were the actions the person took. Write everything down that they want. When they ask how stairs there are, ask them to write down and share a guess. Then tell them there are 21 stairs. When it comes to questions of speed or rate or times, tell them to pull out a watch or a cellphone timer and then play the act one video back for them as many times as they want. Some will want to time the "turn arounds." Some will get different rates for going up the stairs and down the stairs. Some will time the regular stairs. Some will time the super stairs. Feel free to say to them at some point, "We will all have different answers and we will all be wrong. That's the nature of modeling. We're making assumptions. The question is whose assumptions were best." Have struggling students create a table and track "stairs" and "steps on that trip" and "total steps after those trips." Their goal will be to find a number rule that turns "stairs" into "total steps. It's (stairs)*(stairs+1). If someone wanted to run 1,000,000 steps, what kind of super staircase would that require? The above student found the answer to the original question a different way. Is she right? Why or why not? How long will it take to get up the super stairs? How much longer than the stairs do the super stairs take? How many steps does it take to run the super stairs? What does the number of steps look like as a geometric pattern? How long it takes to climb the stairs? How long will it take to complete the cycle? How long will it take him to go up the stairs? How many steps will actually be ran using the Super Stairs method compared to normal Stairs method? How many steps before he gets to the top? How tall are the stairs? How many stairs will he walk on the super stairs compared to the number of stairs he walked on the stair? How long will it take to get to the top? How many more stairs do I climb on super stairs? How many steps will he take until he passes out? How long will it take to complete super stairs? How long does it take hime to complete the regular stairs? How long will it take to get to the top of the super stairs? How long will it take to complete the Super Stairs? How long does it take to do Super Stairs? How long does it take for him to complete the super stairs? 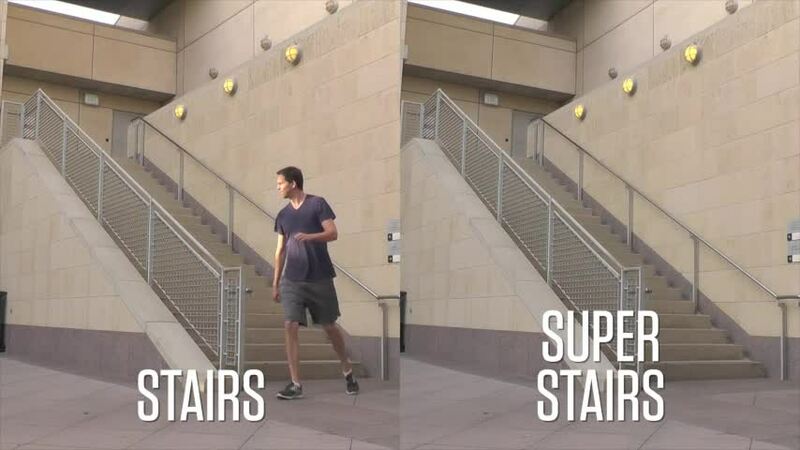 How many more stairs did Dan do on "super stairs" than "stairs"? How many more calories did he burn? How long will it take to finish the super stairs? How will doing this longer affect his rate? On the Super Stairs, how many stairs did he touch. How many total steps to do the Super Stairs? How many individual steps will he take? How many stairs are super stairs worth? How many total steps did you take? How long will it take do all of the super stairs? How many more steps will the Super Stairs be? How long does it take to do the super stairs? How l0ng will it take to do the super stairs? How many steps will the super stairs be? How long would it take? How many stairs does he take on the super stairs? What kind of function models the relationship between number of stairs and time to run the super stairs? how many steps will be taken for super stairs? How many more steps will the super stairs require? How many more steps does he take to do the super stairs? How many feet farther will he travel using the super stairs? How do I choose an appropriate way to display the data collected? Do you get more tired at the top? How does that change the rate? How long will it take for him to complete the stairs? How many stairs does he run up in the Super Stairs? What is super about the super stairs? How many and how long? How long will it take him to climb the super stairs? How many more steps will he take on the super stairs? Are they the same length? How many more stairs are in the super stairs run than the stairs run?